‘Round the [w]hole world today pinholers were out having fun – Making their images for the 2011 WPD. 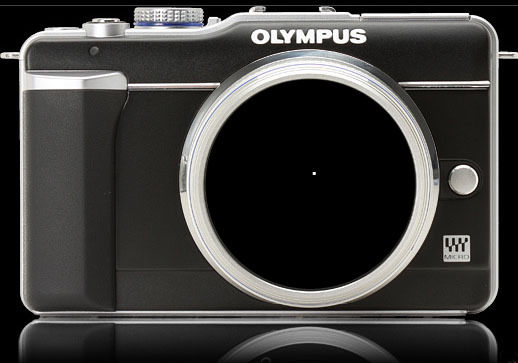 We have just purchased an OLYMPUS EPL1 a Micro Four Thirds digital camera. It features interchangeable lenses, 12 megapixel capture and HD Video – It’s not the latest and greatest but it is very reasonably priced @ around $450 at JB-HiFi or Harvey Norman. What is exciting is we drilled out the body cover – put about a 10mm hole in the middle and stuck an old home-made pinhole into it and made pictures. In ‘LiveView’ mode you can even see what you are shooting and, better still, we are shooting pinhole movies!!! In fact out 2011 WPD offering will feature a ‘stilled’ image (SEE Below) with a link to a YouTube video. 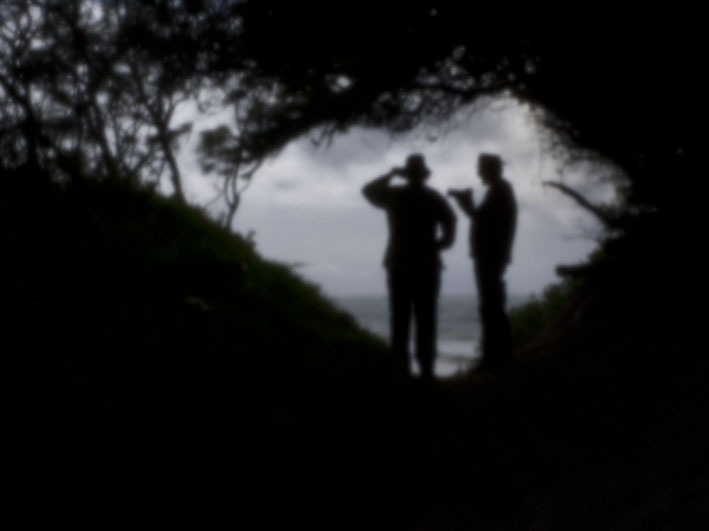 Still from the Pinhole Movie: "Being There . . ."
Well Easter has come and gone – WOT DID YOU DO? Did it rain? Were you able to get away? Did you mow the lawn? Did you get to the Beach? Did you do things that you’ve been hanging out to do? Well, Here’s what we did . . . . Significant Queensland documentary photographer Glen O’Malley visited Toowoomba over the last few days to catch up with old friends and acquaintances. 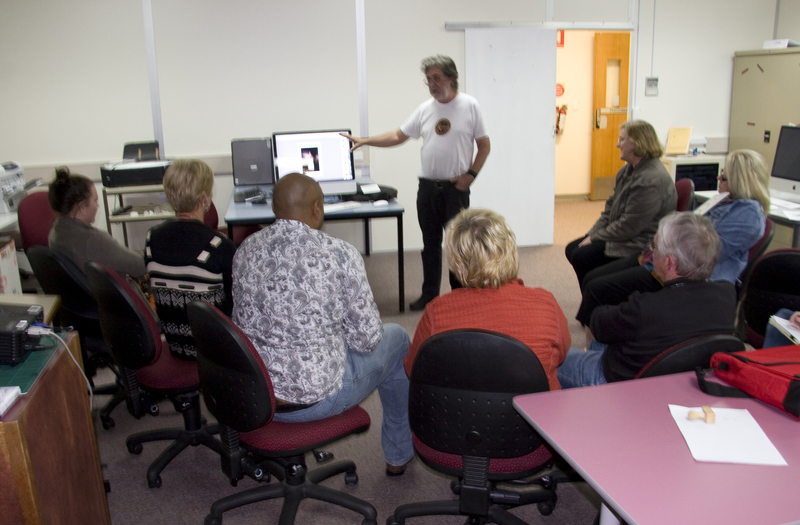 On the evening of April 12 he made a presentation and showed recent work to students from the Southern Queensland Institute of TAFE. 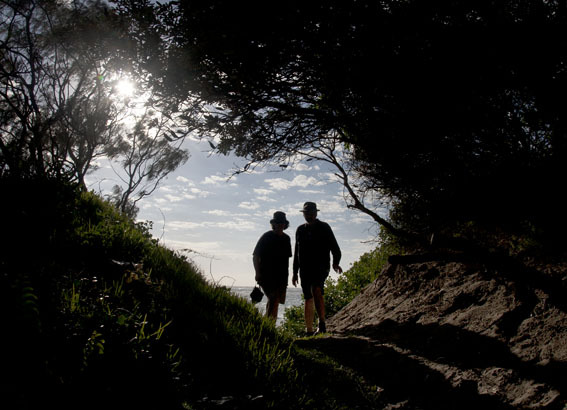 Glen is one of Queensland’s great photography characters. 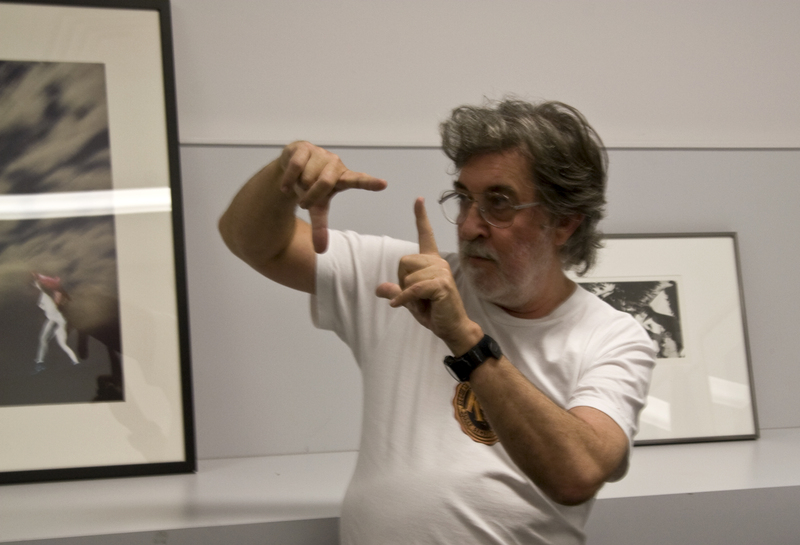 Well known for his street documentary photographs which go back to the earliest days of ‘art photography’ – his first solo exhibition was held in 1975. Coming from way up north, near Babinda, Glen has for years been a master of traditional black and white. In recent years he has ‘crossed over’ to the digital and that has opened up a whole new vision for him – one that is very coloured. Originally trained as an artist Glen considers his ‘colourist’ background has re-emerged in his digital capture. 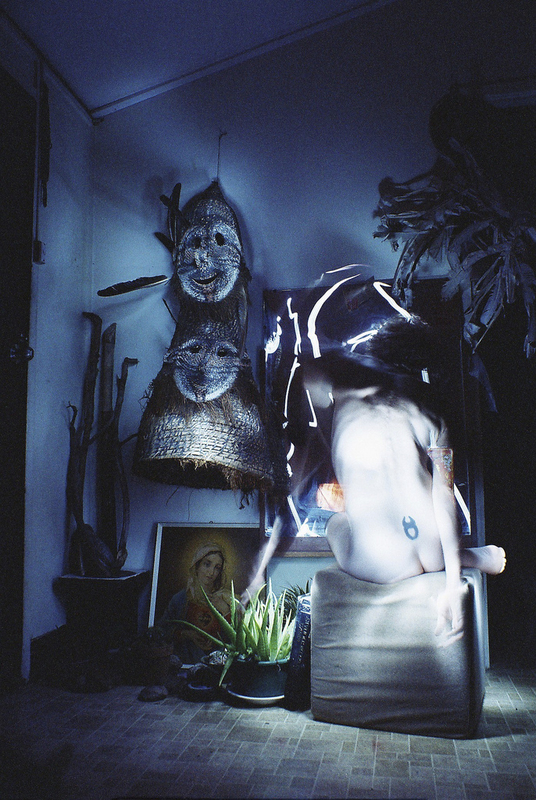 Another aspect to the O’Malley style is that he is a surrealist. Images in recent exhibitions ‘Hotplate Heaven’ and the ‘Pet Show’ feature prosaic home environments which are inhabited by ordinary looking people who do the most bizzare things. His latest work for a new show at the Queensland Centre for Photography in June. The exhibition is entitled ‘What a night!’ and features not only his own work but also images by Kellie White. 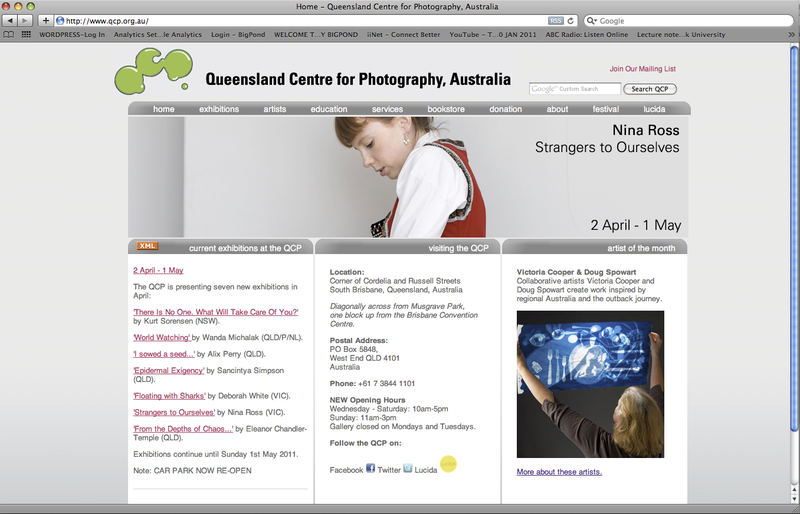 On April 9 & 10 the Queensland Division of the AIPP held its 2011 Professional Photography Awards. 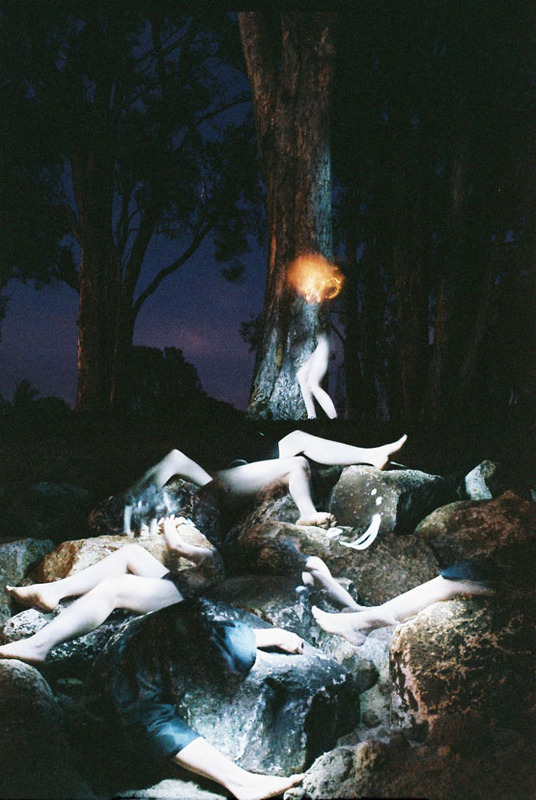 The photographic book of the year category was won by my BORDERLINES book, my FLIP-Book NARCISSUS MEETS HIMSELF ON THE ROAD TO BUNDANON was the runner-up. Although not a heavily contested category it was a great thrill to have the book receive the award as well as a SILVER WITH DISTINCTION certificate. 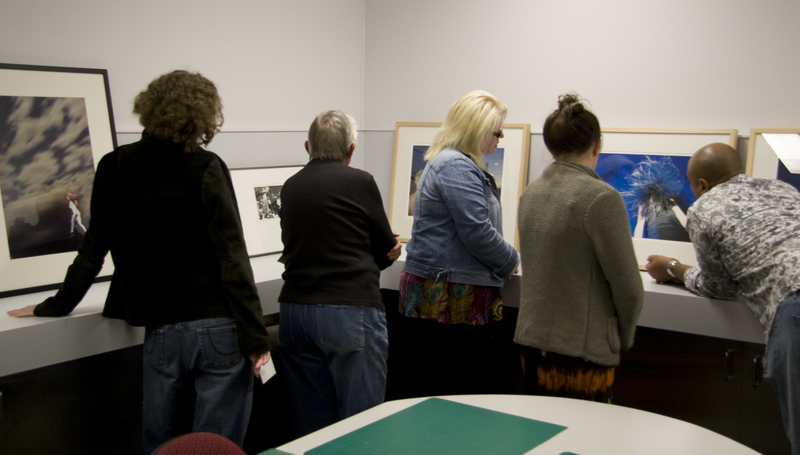 Local conservator from the Cobb and Co Museum Vicki Warden, also an AICCM member, guided the Toowoomba TAFE team through the delicate steps to unpack rinse large format film negatives and dry them. It was important to also treat the packaging that enclosed the negatives as it included indentifying information. Before long three darkroom sink areas were buzzing with activity and string-lines setup around the studio and corridor spaces were being filled with drying negatives and packaging. John Elliott, a local photographic identity, made a video of the activity that can be viewed at youtube=http://www.youtube.com/watch?v=BbfXDVKxiVk. See also the story published in the Toowoomba Chronicle (2.1 mb) about the TAFE recovery work. We are indeed indebted to the work done by the volunteers and by heroes of the project like Marcel, Peter, George and Anita, and AICCM members Vicki and, in particular – Lydia. In the meantime Sandy is trying to re-establish a home and the life that was once filled by so many treasures. 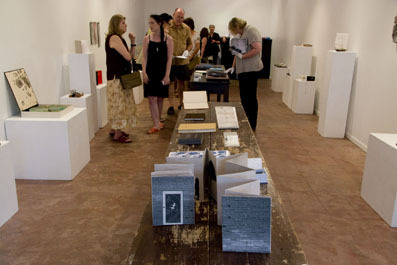 The 2011 Southern Cross University’s Acquisitive Artists Book Award was announced at the Next Gallery in Lismore on February 26. Shortlisted works represented a cross section of the discipline from sculptural books to the ephemeral oddities, readymades, recycled, sticks ‘n’ feathers and solidly traditional weighty codexes. The exhibition was a ‘something for everyone’ sampler of contemporary approaches to the art—whatever that may be. The exhibition venue, whilst modest in size, amply accommodated the works and gave an intimate viewing experience to the books. 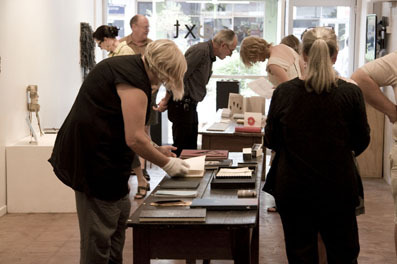 Importantly the gallery places the works within the centre of the Lismore Central Business District enabling a very public connection to artists’ books as art gallery presentation content. This is contrary to the almost secular way in which this kind of work is presented in libraries and specialized venues. 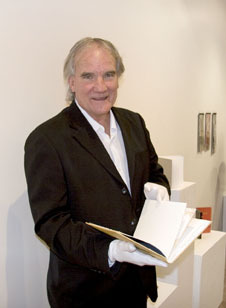 Professor Ross Woodrow, from the Queensland College of Art, as this year’s judge was charged with the responsibility of selecting works to compliment the books already held by the university’s library that are used not only for exhibition and reading, but also for lecture discussion samples. Lyn Ashby: The Ten Thousand Things, digital prints, Arches Watercolour paper, boards, 24 x 30cm closed, Edition 50. As usual the judge’s selections have created some contention in the artists book scene. Some commentators on the awards seem to miss the point that this is an acquisitive award that contributes to the university’s teaching library of artists books. Each acquisitive award event is presided over by a different judge and different areas of artists book practice will be represented in their selection. 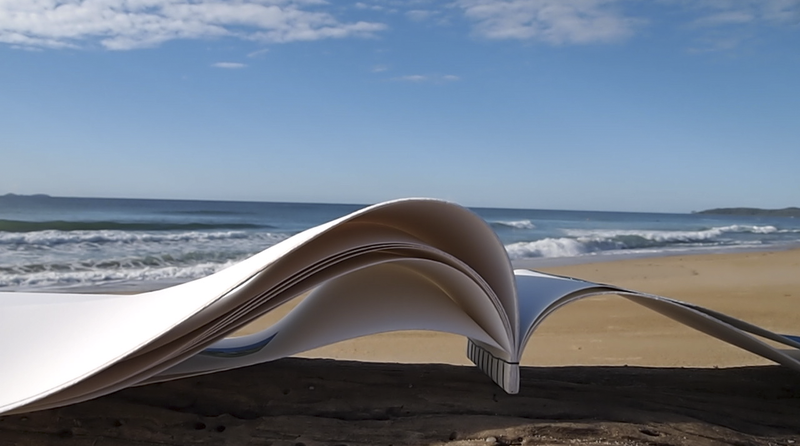 Ultimately the winner is everyone interested in artists books as the collection will quite possibly become one of the most diverse, in terms of examples of exemplary practice, in the country.